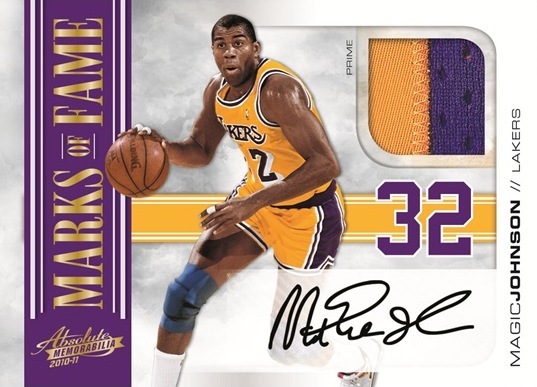 2010-11 Absolute Memorabilia returns to the hobby hardwood this March, bringing with it a plethora of autographs and hearty patches featuring players like John Wall, "The Durantula", "The Black Mamba", Larry Bird, Magic Johnson and other stars past present and future. 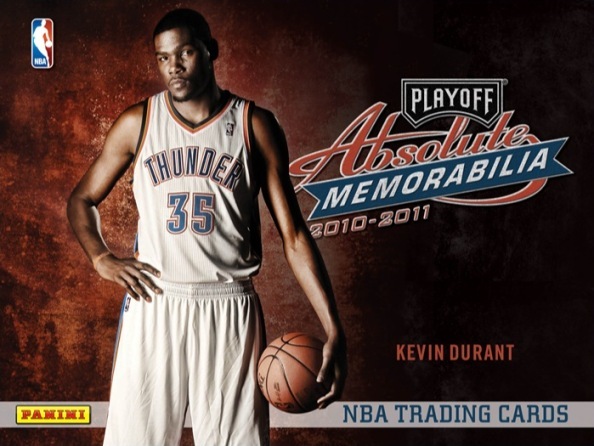 Each 4-pack hobby box of Absolute will deliver 4 hits, 4 inserts and 1 numbered retired great. 150 card base set featuring 15 short printed rookies and 35 retired greats. Each box will deliver at least one of Absolute popular Rookie Premiere Materials Signature (RPMS) numbered to 499 or less! 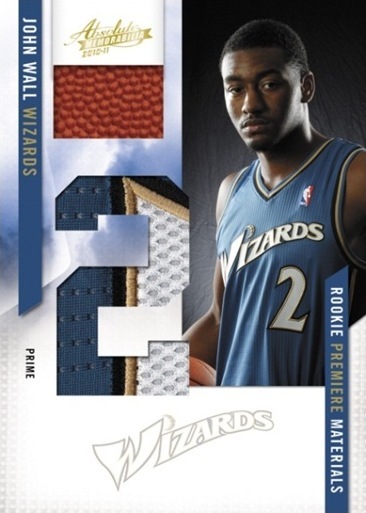 Due to the low numbering of the set, only 449 collectors will have the opportunity to complete the set! 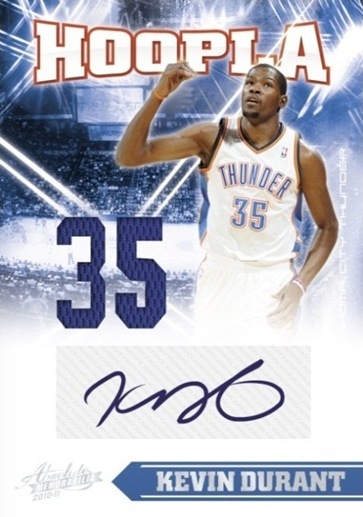 Autographed cards from Kevin Durant, Kobe Bryant, Larry Bird, Magic Johnson, John Wall, Evan Turner, Wesley Johnson, Rajon Rondo and other NBA stars past, present and future! 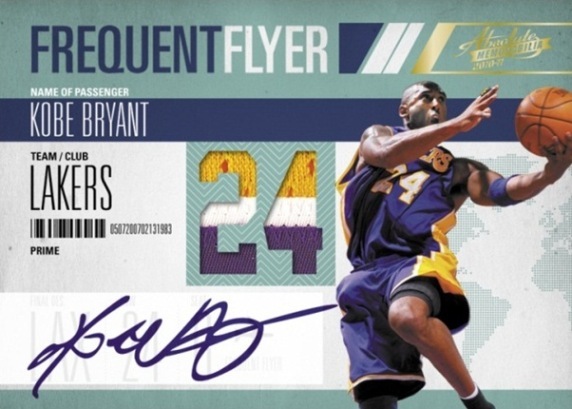 2010-11 Panini Absolute HOBBY Box 2 Autograph & 2 Memorabilia Cards Kobe Bryant?